The joining of two of the biggest names in hard rock history in 1991 resulted in one spectacular album and tour before egos tore the two apart. 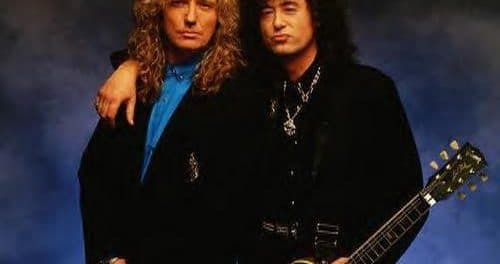 When a Led Zeppelin reunion fell through, guitarist Jimmy Page decided to seek out the next best thing, vocalist David Coverdale (of Deep Purple and Whitesnake fame), who had always been accused of sounding to much like Page‘s Zeppelin cohort Robert Plant. Coverdale agreed to put Whitesnake on hold and the bonding of two legends was solidified. Jorge Casas (bass) and Denny Carmassi (drums, formerly of Montrose and Heart) would be the rhythm section on the duo’s one and only release. The album was a success, reaching #5 on the Billboard charts (at a time when traditional hard rock was all but ignored commercially), and Page hadn’t sounded so good since his Zeppelin days. Unfortunately, the collaboration was short lived, with the band falling apart after a short Japanese tour. 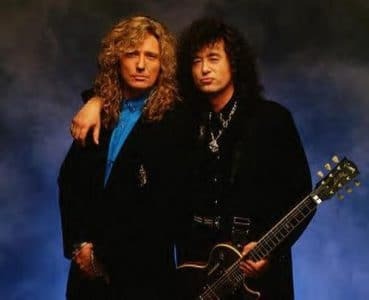 After the demise, Coverdale regrouped Whitesnake (with Carmassi in tow) and Page put his differences with Plant aside to record a live album called No Quarter. 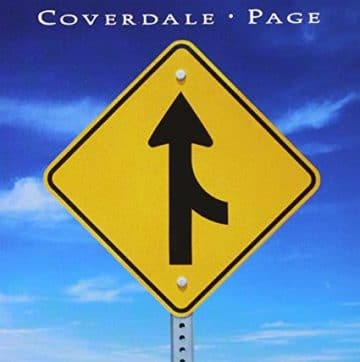 However, Coverdale/Page still remains a must have album from these rock legends.